More than just cleaning - it's courtship, too! 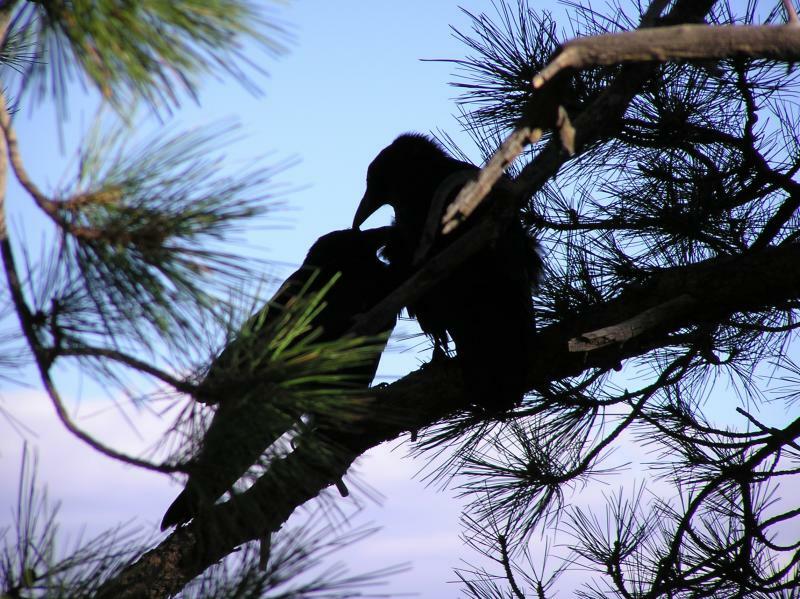 American Crows and other birds groom each other while sitting side by side on a wire or branch. 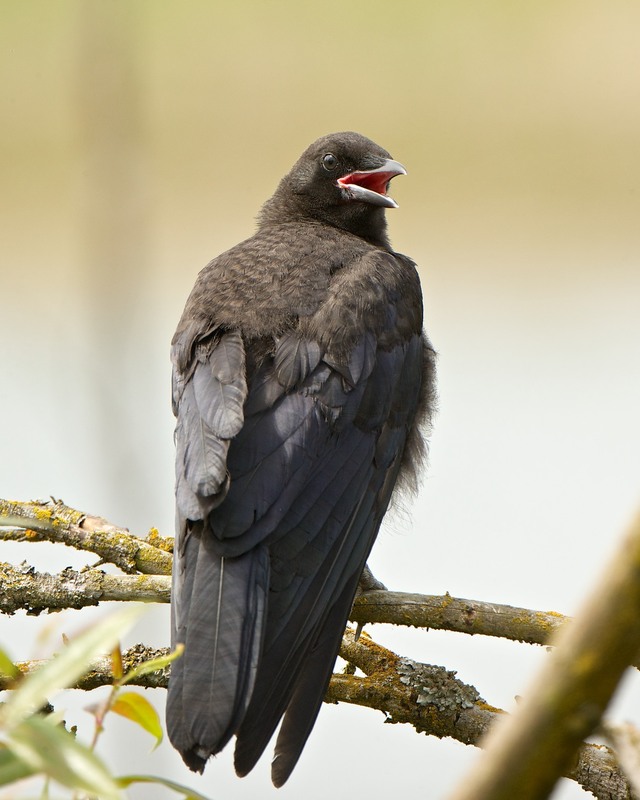 One stretches out its neck, and the groomer, or preener, twirls individual feathers in its beak, often starting at the back of the head and working around to the front. This grooming, known as "allopreening," strengthens the bond of the pair - and keeps their feathers in good shape, too. Parrots of all kinds engage in a public display of affection called “allopreening,” and it’s probably this activity that gave lovebirds their name. 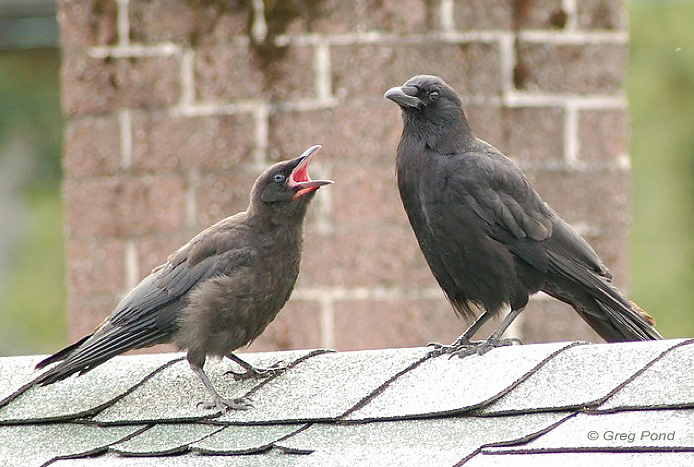 Lovebirds may have the reputation for amour, but crows show affection, too! You can see it a lot, at this time of year. Male and female sit side by side on a wire or branch, often near their nest tree. One stretches out its neck, inviting the other to groom its feathers. The groomer, or preener, twirls individual feathers in its beak, often starting at the back of the head and working around to the front. The bird being groomed turns its head upward, so the preener can reach the feathers under its chin. Its eyes close slightly, making it seem as if the bird is in a daze. The preener pauses; the preenee remains absolutely still, mesmerized. It’s even mesmerizing to watch. Check out our website and you’ll find a limerick – believe it or not -- about allopreening. There’s a video, too. One crow preening another. See if you aren’t mesmerized. Find them at BirdNote.org. I’m Mary McCann. Of mates during courtship, we've heard. 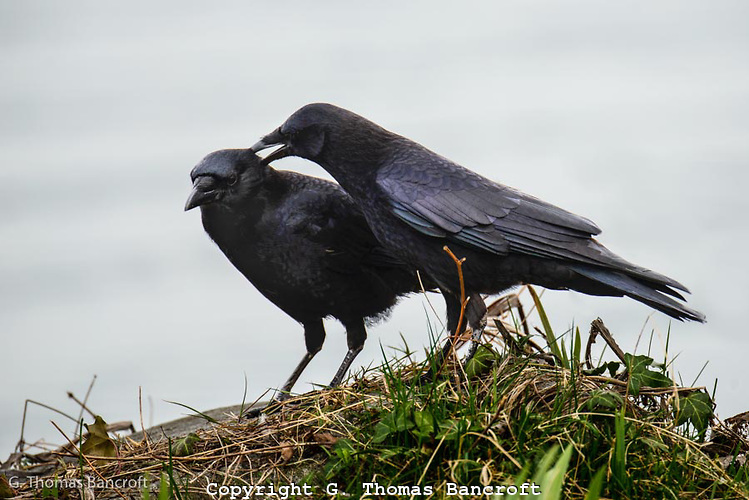 Check out this close-up of crows "allopreening"